David Markovich Zektser was born on May 5th, 1923 in Akkerman, Bessarabia (after 1940 Bilhorod-Dnistrovskyi, Odessa oblast, Ukraine). He completed four years of Jewish school and eight years of Romanian school. After the start of the war Zektser and his family emigrated to Odessa and later, via Novorossiysk and Makhachkala, to Central Asia. In 1942 he was drafted into the army, and as of February 1943 took part in battles as an infantryman commanding anti-tank rifle squad. In May of 1943 he was heavily wounded and after spending six months in hospitals was demobilized. Decorated with medal for “Battle Merit” and Order of the Patriotic war, 1st class. 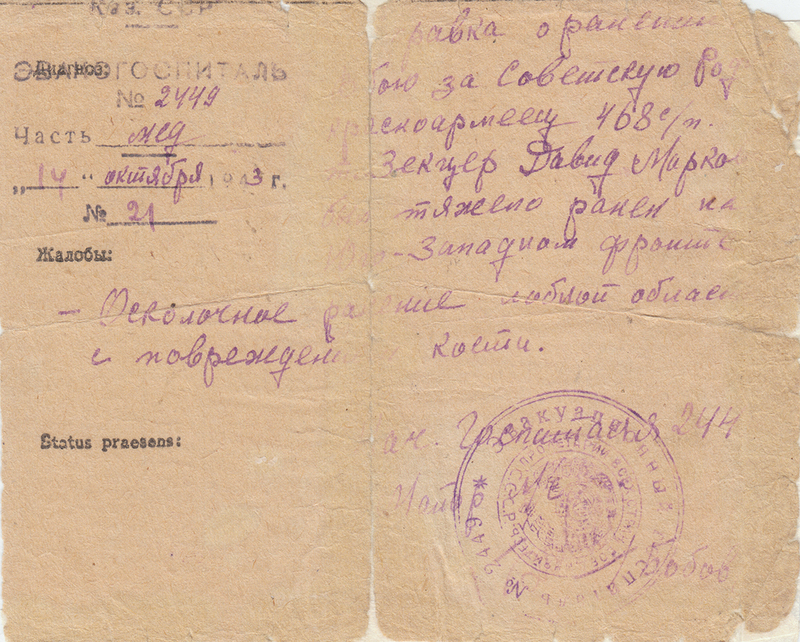 Immediately after demobilization, Zektser enrolled in Leningrad’s Electro-technical University specializing in automation systems and railway communications. Inventor and author of more than two-hundred works on low-voltage electric apparatuses. Interview was conducted in Kharkov, Ukraine, in 2009. Reaction to the Red Army's arrival in Bessarabia in 1940. The smell of the front and a desperate need for water. El Dorado in the trenches: no anti-Semitism. Drafted, quick deployment to the front. Nazi torture and the murder of Zekster's family.